The first of four challenging par 3’s. 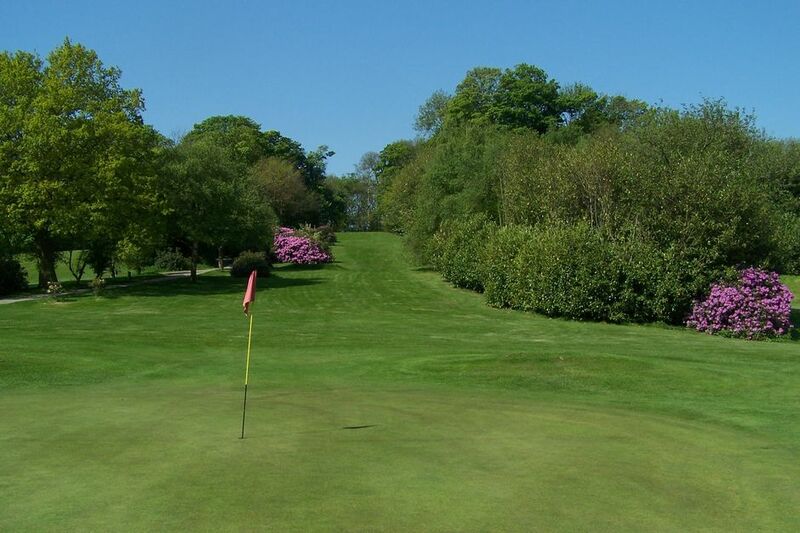 The hole is downhill as you tee off through an avenue of trees and shrubs to a long narrow green that sits towards you. 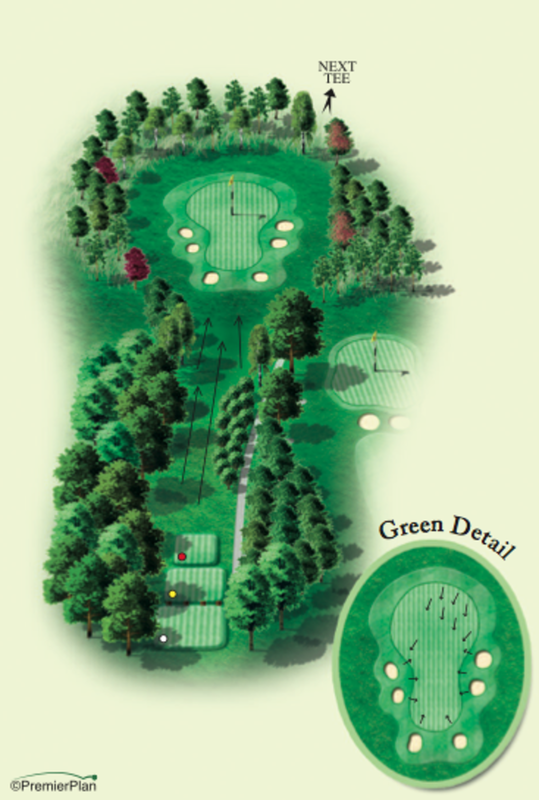 The hole is deceptive because any cross wind will not affect the flight of your ball until after the tree line. A stray shot may therefore find one of the surrounding bunkers.